Welcome to Wow! Can you believe it is already February? That means Valentine's Day is coming up along with President's day, and my 41st wedding anniversary! 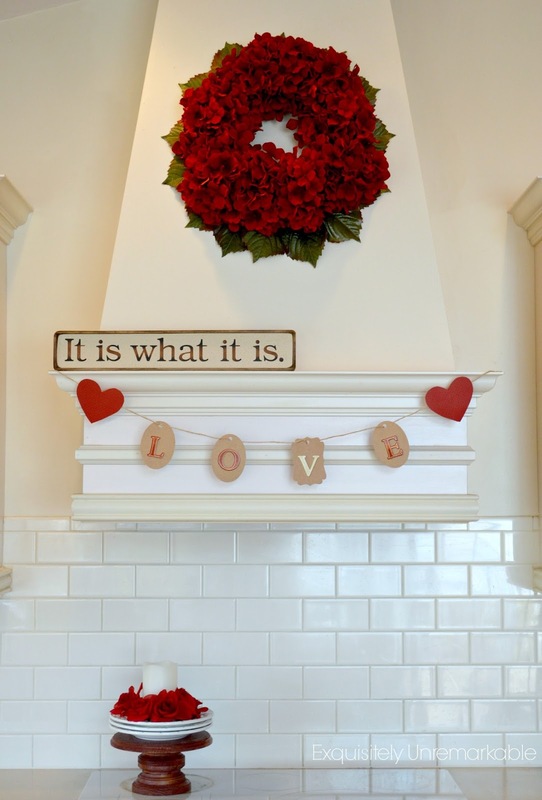 I don't decorate for Valentine's and I'm not a crafty person, but here are some Valentine's inspiration from last week's party. Meatloaf and Melodrama shared this cute DIY gift idea for your valentine. How about these Valentine's Day Oreos by Sincerely Jean. Exquisitely Unremarkable shares the tutorial for this cute banner. I'm loving these top stitched vintage looking letters by Bornhouse Living. Thanks for hosting, Kim! Still thawing out here up north! Hi Kim, thanks for hosting………. Thanks for the party Kim! Great V-day inspiration, cute letters! Cute features for Valentine's Day. Thanks for hosting, Kim! Thank you so much for the party, have a great day! Love the Valentine features Kim! Thanks for hosting! Thanks Kim for featuring our Valentine's Day Oreos and for hosting every week! What fun ideas for Valentine's Day! Thanks so much for hosting another terrific party! Wow -- thank you so much for the feature, Kim! Have a wonderful week! thanks for hosting...have a great week!! Kim, thank you so much for featuring my banner! How exciting! My anniversary is romantic Lincoln's Birthday...that date came with a deep, deep discount and 14 inches of snow the day before. Good times! ;) I hope your month is full of celebration. 41 years is fabulous! Great features! Love seeing all the LOVE out there! :) I appreciate all your efforts in hosting this wonderful weekly party. Thanks so much! Love the Valentine's Day ideas. Congratulations on your 41st! Have a great week. Cute Valentine ideas. Enjoy the anniversary celebration! As always, thanks for hosting! Thanks for the Valentine's Day inspiration, and the party, Kim! Thanks for hosting! LOVE your new blog design, by the way! Love the Valentine ideas. As always, thanks so much for hosting and I hope your week is great! What fun and different features this week. Thanks so for hosting! Thanks so much for the feature, Kim! I Always love this party because the creativity featured here is endless!!! Thanks for always hosting such a great party! Happy Anniversary!!! Lovely Valentine's ideas Kim and thank you for hosting! Happy Anniversary!!! And thanks so much for hosting Kim!! Great features. Now that the girls are grown I too don't decorate much for the smaller holidays, but enjoy seeing what others do. Happy Anniversary, but girl, you don't look old enough to have been married that long!! Wow! 41 years that's amazing. Happy Anniversary to you and the Hubs! Congratulations on your anniversary! Thank you for hosting the fun party, Kim. I love the Valentine features. I hope Miss Bailey is getting better every day. Kim, congratulations on your upcoming 41st anniversary! Time flies by as we just had our 38th anniversary. Thank you for hosting! Happy Anniversary Kim! Thanks so much for the party! 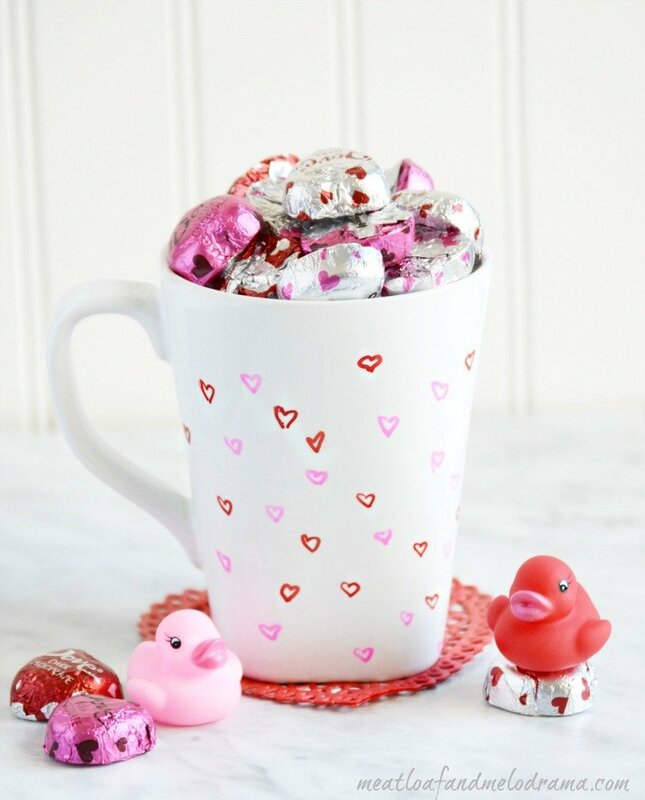 Lots of sweet VDay ideas! Thanks for hosting the link up Kim!! I hope you like my post this week. I'm sorry I'm a day late, though.